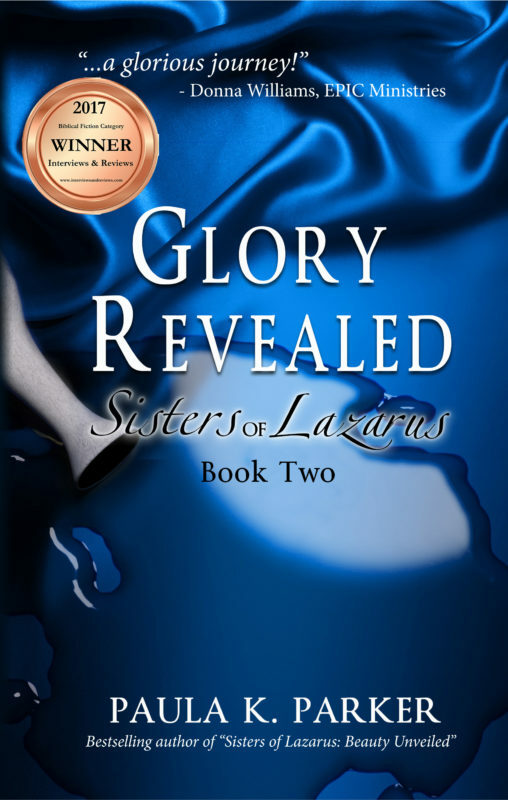 GLORY REVEALED is the second book in the SISTERS OF LAZARUS series. Beauty Unveiled, the first book of the SISTERS OF LAZARUS series,introduces Martha and Mary, the two sisters of Lazarus, who couldn’t have been more different. Martha, the elder, is plain and self-conscious; Mary, the younger, is beautiful and vain. One saw her value only in serving, while the other believed her outward appearance was her only asset. Their worlds were turned upside down when Lazarus offered hospitality to an intriguing new teacher named Jesus. GLORY REVEALED: Sisters of Lazarus, Book Two picks up immediately where Beauty Unveiledended, and carries the story of Christ to its glorious conclusion as seen through the eyes of those who witnessed firsthand the greatest story ever told. Paula K. Parker’s evocative writing draws readers in, allowing them to feel like a fellow guest sharing the sisters’ wonder at meeting Jesus and his transforming power. "GLORY REVEALED is... a glorious journey. A must-have for any library."